Whether you have lived in Tokyo for many years – or are brand new to Japan – chances are you have tasted matcha – the ever popular green tea powder that is used as a flavoring for many types of drinks. But did you know that there is much more to matcha than just drink flavors and kit kats? Matcha Morning at Coto is a great opportunity to learn about the ins and outs of how to use Matcha in your recipes, and enjoy it in your diet to improve your health and wellbeing. 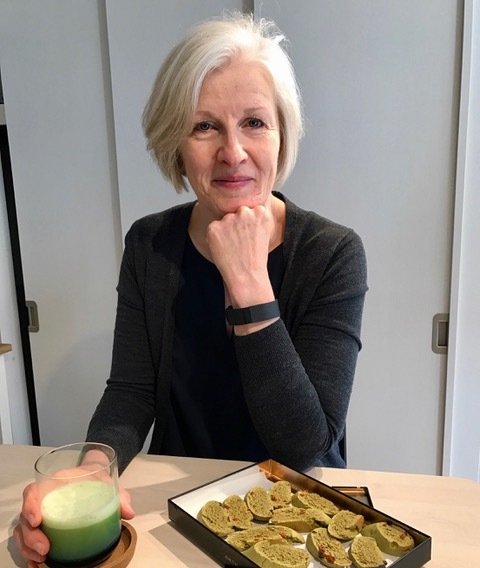 Norma – our resident Matcha expert – and matcha blogger for healthy tokyo will be distributing samples of innovative recipes that she has developed using matcha. Please join us for an informative chat and an opportunity to try some of Norma’s inventive and delicious creations. Preparing healthy and nutritious food and leading an active lifestyle has always been my passion. A few years ago I was introduced to matcha by local health and wellness company Healthy Tokyo. I quickly realized what incredible health benefits matcha possesses and soon was using matcha in all sorts of ways and developing recipes for an online cookbook. The calm and peaceful feeling that comes from drinking matcha is only enhanced by the high nutrition and the luxury of being here in Japan, the world’s leading source of pure matcha. Did you know that Matcha (Green Tea powder) is not only a ceremonial food that can be infused into snacks - but that it is a versatile ingredient that can be used in many everyday recipes? 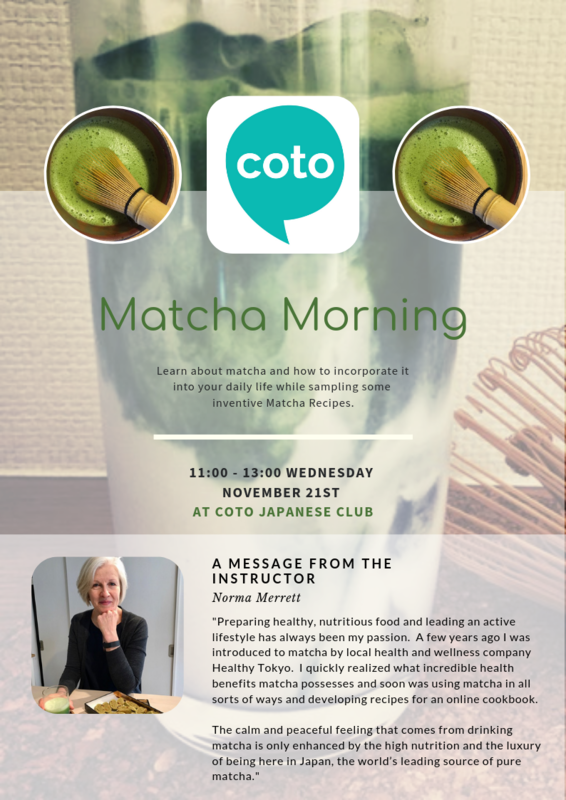 Come join our resident Matcha expert Norma as she introduces some of her Matcha creations to Coto Club.